1. Attach bolts to the back of small toys and spray paint them to create fun drawer pulls. Prehistoric metallics are SO chic right now. But seriously, these are adorable and you can check out the step-by-step instructions here. 2. Melt some Pearler Beads to create summertime cup covers. A cute way to label your cups and keep bugs out of your drink! Check them out here. 3. Glue magnets to the backs of Scrabble pieces for a fun and functional message board. 4. Create a personalized light by assembling your favorite super heroes on a lamp base and covering with spray paint. 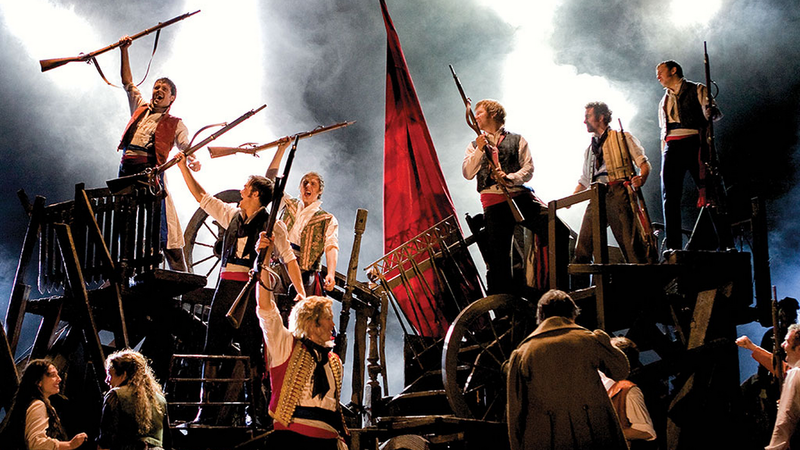 From far away one might think it's an homage to the barricade in Les Mis. But nope, just GI Joe. Learn how to make it here. 5. Create a jewelry holder by glueing together old Jenga pieces. You're probably missing a few pieces anyway, might as well put the remaining blocks to good use! Check out a tutorial here. 6. Turn a Chinese checkers board into a bar stool. Disclaimer: the puppy is unfortunately not included. But on the bright side, it's as simple as replacing a stool top with an old Chinese checkers board. 7. Make a custom charm bracelet with some retro Polly Pocket dolls. The nostalgia is REAL. Learn how to make this ~charming~ bracelet here. 8. Use a hula hoop and fabric for a DIY canopy. You can fake a canopy bed or make a little play area hideout for kids. Check out how to make your own here. 9. Store your business cards in a Slinky. DIY instructions: plop a slinky on your desk and stick cards in it. That is literally it. You can check out an example here. 10. Or take your Slinky outside to make a circular bird feeder. You can make some birds and squirrels very happy with this quick DIY. You can learn how to make it here. 11. Amp up a boring mirror by glueing spray-painted Hot Wheels to the edges. Somehow everything looks better with gold spray paint. Here's a Hot Wheels how-to for you. 12. Upcycle letter magnets with a quick coat of spray paint. Again with the spray paint! We ~love~ the spray paint. Here is a great tutorial. 13. Melt some Army men to form a fruit bowl. Pay tribute to the little guys from Toy Story with this fun project. Learn how to make it here! 14. Fasten a random chess piece to a cork for a cute wine stopper. Consider this a more mature way of embracing drinking games. You can do this with any of your favorite game pieces. Just super glue a game piece on top of a tapered cork. Here is a pack of 25 corks for $4.99. 15. DIY a key rack and matching key chains with good old fashioned Legos. This is so fun that you might actually put your keys where they belong. Check out how to make them here. 16. Or use them to add some color and organization to your counter top! Who says being organized has to be boring? Learn how to assemble this container here. Play time is now in session!